Forty–five years ago the 101st Airborne Division went into South Vietnam’s A Shau Valley as part of Operation Apache Snow. The objective: to find, engage, and kill the 29th NVA Regiment on Hills 937, 900, 916, and Hill 800. 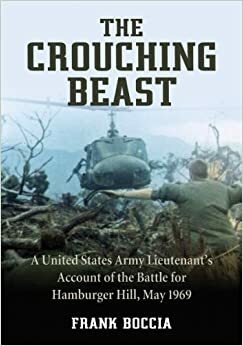 That battle is the basis of Frank Boccia’s chilling book, The Crouching Beast: A United States Army Lieutenant’s Account of the Battle for Hamburger Hill, May 1969 (McFarland, 472 pp., $40, paper). It’s a personal story of the 101st Airborne’s struggle to capture what became known as Hamburger Hill. In forty chapters of small observations, exact conversations, clear insights, action, consequences, and emotions we learn how one of four under-strength 101st companies fought to destroy an entrenched NVA regiment on Dong Ap Bia mountain less than two miles from Laos in I Corps almost due west of Hue in Thua Thien Province. In eleven sustained days of repeated, brutal combat assaults up a forty-degree vertical bamboo-infested mountain, with sawgrass-patch covered, vine-snarled ridges, draws, trails, v-shaped ravines, and stump-tough triple canopy forest, the men of the 101st’s Bravo Company, 3rd Battalion, 187th infantry—together with other Screaming Eagle troopers—lost ninety two killed and nearly 500 wounded. Nearly 2,000 American and ARVN troops engaged some 1,200 heavily dug-in, camouflaged NVA regulars in one of the most brutal battles of the Vietnam War. Some have likened what happened there to the carnage of on Iwo Jima. The NVA lost some 630 men, but Montagnard peoples of Laos say that about 400 were dragged off the mountain during the two-week siege. For 1st Lt. Frank Boccia, a 25-year-old, Georgetown-educated, Italian-born junior officer who commanded a platoon in the 187th (the Rakkasans), it was a six-month, hideous odyssey from arrival to the crest of Hill 937 in May of 1969. After nearly eleven full days of sustained fighting featured close-quarter assaults, crashed helicopters, a blinding rainstorm that turned the mountain to engulfing mud, and miscalculations of who and how many were holed-up in the mountain, the battle against a heavily fortified enemy came to a close. A unique feature of Boccia’s book is his uncanny accuracy recreating locations, reconstructed conversations, the weather, the sounds, and the personalities of the troopers who slogged up Hamburger Hill ten or more times until it was taken. Also clearly articulated is the harshness and near brutality of Lt. Col. Weldon F. Honeycutt, AKA “Black Jack,” who sent his troops repeatedly up the hill only to have them driven back by .51 caliber Chinese communist machine guns, small arms fire, grenades, RPGs mines, and booby traps. Rivers at the base of the Hill featured mosquitoes, snakes, leeches, fog, and soil that was a combination of rotting putrid vegetation, dead body parts, and stray animals. Yet as Boccia settled in and got to got to know his men, this English Literature graduate and draftee came to learn how to lead his men to fulfill their mission. His short descriptions of the men he served with are both spot-on and finely crafted. This is a fine officer any man would be happy to serve with. By the time Boccia’s men left Hamburger Hill on June 5, Alpha Company had thirty percent casualties; Bravo Company (Boccia’s unit) had fifty percent; Charlie Company had sixty percent after replacements; and Delta Company suffered over seventy-five percent. During World War II units that sustained fifty percent casualties were classified as destroyed. Throughout the book Boccia and his platoon suffer under-strength engagements, crashed helicopters, men blown to pieces by RPGs and heavy machine guns, confused and fragmented leadership, and true valor from nearly everyone who survived. PFCs did incredible things; RTOs performed under unimaginable danger; helicopter pilots medevaced men away in overloaded, defenseless light observation choppers; medics did not give up no matter the terror; machine gunners stayed and fought when death was only twenty meters away. Near the end, a nearly illiterate trooper stands up during the battle and curses the NVA, screaming that his “Rakkassans are going to kick their asses, and take this damn mountain, no matter what it takes.” They do. In the end, Boccia and his men are spent, but hey have fulfilled their mission. And they served their nation with honor. We should stand in awe of their accomplishments. 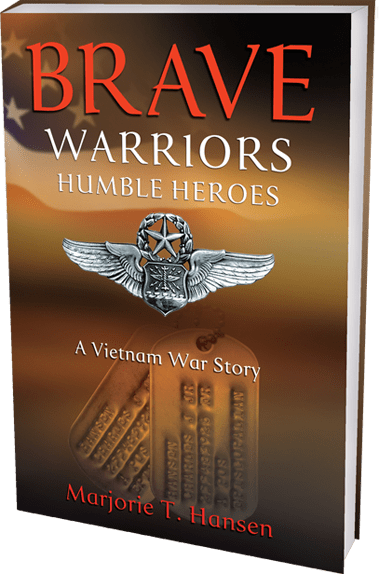 Brave Warriors, Humble Heroes: A Vietnam War Story (Brown Books, 232 pp., $22.95 hardcover; $14.95, paper; $9.99, Kindle) is a love story, a book filled with the admiration that Marjorie T. Hansen feels for her husband Charlie. She details her feelings about a calm and quiet man who unfalteringly performed the duties assigned to him. Charlie Hansen was a major when he was sent to navigate C-123s at Phan Rang Air Base in 1971. It was near the end of the Vietnam War, and Congress had promised to have all American combat personnel out by year’s end. 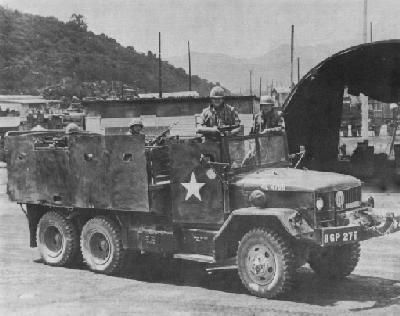 Shortly after he arrived at Phan Rang, the base began closing down. As squadron scheduling officer, Charlie Hansen’s duties were tediously repetitious, but he performed them with good humor. His flying consisted of navigating bladder birds that hauled JP-4 to remote outposts, training South Vietnamese Air Force crewmen to take over the squadron’s mission, and dropping ARVN parachutists in practice exercises. In essence, he was living in a war zone, while burdened with peacetime labors. Mortar and rocket attacks on the base and antiaircraft fire aimed at his plane frequently reminded him of where he was. In letter after letter, Charlie Hansen mentioned the maintenance nightmares of mechanical breakdowns that typified C-123 operations. He wrote about them without complaint. Based on his many accounts, it’s difficult to believe that the South Vietnamese accepted the planes after the Americans departed. Eight months into his tour, Hansen was transferred to Nakhon Phanom to fly as an AC-119 Stinger night observation scope operator over the Ho Chi Minh Trail. Surprisingly, in one of the letters in the book that describes a Stinger flight there is only one short paragraph about events in Laos. I flew 158 Spectre missions in that arena and know there was plenty to talk about, even on quiet nights. Overall, I feel as if Marge or Charlie Hansen shortchanged us in this book. Too often, that is, a letter provides a trailer without delivering a feature picture. That was it: no details. Furthermore, Charlie Hansen reduced his combat experiences to little more than headlines. Such as: “Miracles never cease—we finally found and destroyed a truck last night. We hadn’t seen a burner in almost two weeks.” The remainder of this letter focused on squadron administrative chores. A great deal of the letters’ contents dealt with travel plans. On the other hand, Charlie Hansen mentioned exchanging tapes with his wife, which perhaps is where they hid the good stuff. Marge Hansen devotes a chapter to meeting her husband for R&R in Bangkok and then accompanying him to NKP, an adventure that she ranks as the most dynamic episode in her life. Her joy had a severe price: she was exposed to toxic herbicides. Following Charlie Hansen’s retirement in 1976 after twenty years of military service, he and his wife enjoyed twenty-year careers in engineering and marketing. 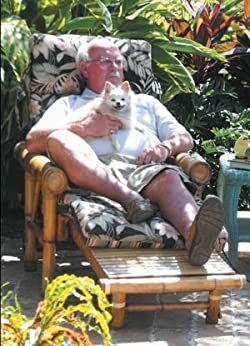 Charlie Hansen died in 2012. His wife closes her book with a plea for the government to provide greater comfort for veterans who suffer from diseases caused by exposure to Agent Orange. Russell recounts his first patrol as a groundpounder at Marble Mountain with the Third Marines in 1967, as well as his pact with the almighty. “God, if you can get me out of here, I’ll live for you the rest of my life.” That was a reasonable covenant to make considering Russell went through his tour of duty during the war’s deadliest year, 1968. Russell rotated home on December 31, 1968, and was presented with a choice to make: re-enlist as a sergeant or accept an eleven-month early out. He opted out of the Marine Corps, and re-entered life as a civilian in June of 1969. His description of the next two decades of his life may require patience and understanding. Russell writes about moving many times, marriage, entrepreneurial failures and successes, making good on his war-time promise to God by “accepting Jesus,” and dealing with post-traumatic stress disorder and being bipolar. Some fellow Marines helped him to come to grips with his Vietnam War service. This may not be the conclusion of this engaging story if the author achieves his goal of seeing this volume became a screenplay and then go up on the silver screen. The novel is told in chapters that go back and forth in time between the boyhood of main character Brad Howard and his time in Vietnam, briefly aboard a PBR (Patrol Boat, River) and then evading capture by the enemy. 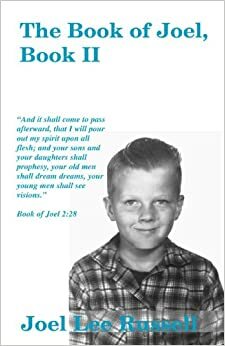 Most of the boyhood chapters take place in small-town Colorado in the late 1940s and early 1950s, and deal with boyhood stuff: school and bullies, baseball games, rodeos, playing in the snow, and Boy Scout camp. Brad’s boyhood is lived on the economic margins as his World War II veteran father loses job after job. There is hardship, including contracting polio, and his father having a heart attack. These chapters are well-remembered and well-voiced from the point of view of the child Brad. It is easy for the reader to believe the life lived in barely heated, shabby rental houses and wearing worn-out, patched clothes. This is different from my boyhood during the same period, but similar enough to recognize the author’s honesty and familiarity with this experience. The PBR adventure is soon over. A new lieutenant takes over and insists on changing things that have worked for eight months. He wants to take it to the enemy by going far, far up the river. The men get there and are shot to pieces by a VC patrol. Only Brad survives. Brad Howard’s attempt to get back to safe territory from “Indian Country” is the preoccupation of the rest of the Vietnam War chapters. He has little in the way of training or equipment, but often compares this experience with his fight to survive his boyhood. He believes that being a Howard and not a quitter will get him through the ordeal. He eats bugs, snakes, stolen rice, and whatever else he can. He loses a lot of weight, and stumbles lost in the jungle, hoping that he’ll be delivered. His boat was destroyed in mid-September 1966 and he’s still alive, barely, in the jungle four months later. I was beginning to think he’d still be there for the 1968 Tet Offensive. I won’t give away the ending of the book, but I will say that it held my attention—both the Vietnam War chapters and the Colorado boyhood chapters. I have no idea if the author had any Vietnam War jungle experience, but those chapters are as convincing as the Colorado chapters are. Maybe he did his research well for both. 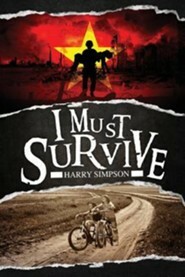 Perhaps all that matters is that Harry Simpson has written an excellent, spell-binding adventure story. I highly recommend it. The book, which the author tells us is “based on actual events,” begins in Chu Lai in February 1971 when we meet the main character, Lt. Mike Hardy, who has just arrived in country. We are exposed to the rain of Vietnam, which is relentless and can chill a soldier to the bone. Hardy’s musty wool Army blanket “provided little insulation,” a fact I can attest to. People who have not been there have trouble believing that wool blankets were needed in the semi tropical country of Vietnam. Believe it. The Bloody Mama of the title is a truck tricked out with armor and armaments. It’s named for the 1970 movie of the same name directed by Roger Corman starring Shelly Winters as a machine-gun-toting Ma Barker. There also are multiple references to John Wayne in this novel, not all of them admiring. The song, “We Gotta Get Out of This Place” is performed. Lots of enlisted men are strung out on heroin. The food in the rear is embarrassing to read about, but the reportage is accurate. Steak and lobster and giant shrimp were served. I ate plenty of food like that when I was in Vietnam, and we sometimes even washed it down with really good bourbon. I attest to the truth and honesty of this novel about life in the rear. 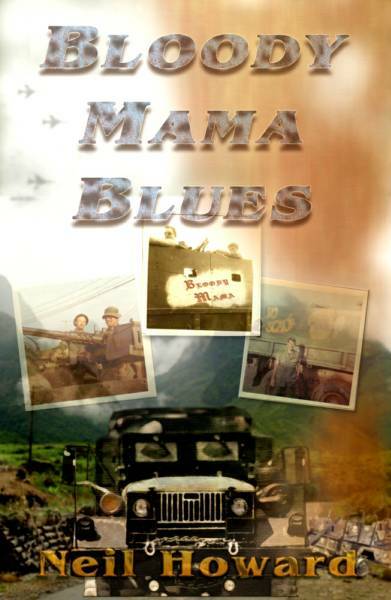 You won’t find a better novel about life in a transportation company in the Vietnam war zone. If you have an interest in what a mostly non-combat tour of duty consisted of, buy this book. Marc Eliot is a biographer who specializes in telling the lives of movie stars. So it’s no shock that his latest bio is American Titan: Searching for John Wayne (Dye St./HarperCollins, 413 pp., $28.99). In his engagingly written, thick narrative Eliot covers the details of Wayne’s personal life, never straying far from the ins and outs of his movie career. Part of that personal life was the ironic fact that the man who came to personify the American fighting man in the 1940s, 50s and 60s in a series of memorable film roles never served a day in the military. In fact, as Eliot shows, John Wayne fought hard to avoid serving in World War II, which the United States entered when he was thirty-four years old. In 1942, Wayne told his draft board that he was the sole supporter of his family and that “an old shoulder injury made him ineligible,” Eliot writes, “although it didn’t seem to bother him much when he was working as a stuntman or riding horses or throwing punches” in the movies. John Wayne was a strong Vietnam War hawk who lobbied for four years to make a film about Green Berets in the war. Why? To “take on the [antiwar] protesters” and “take on the enemy,” Eliot says. There’s one minor mistake in the section on the movie. Eliot calls the famed VC booby traps “Punjab sticks,” not the correct name: punji stakes.